If you want a Windows Mobile phone from Verizon Wireless, the HTC Imagio is nice. But if you want something with a physical keyboard, you can get the best deal HTC Touch Pro 2 for Verizon Wireless now for only $169. Nothing beats the 3.6 inch touch screen that lets you adjust the tilt for optimal viewing angle. It’s a business phone that make today’s professional more productive on the road with Windows Mobile Pro 6.1. Want to get a nice touch screen phone without paying for the data plan? Does Samsung Impression require data plan? Basically almost all AT&T phones don’t require data plan except the iPhone, but you have to pay at retail or with very little discount in order to get the phone. What good is a smartphone or full-featured phone without a data plan? You can’t surf the web, you can’t access Facebook or MySpace instantly. You are basically wasting the 90% of the functions and features the phone is designed for. Seriously, if you are considering buying the Samsung Impression without data plan, you might as well just get a simple flip phone. Or you can just pay $15 for unlimited data access. What you will get is unlimited Internet and Email access, plus unlimited AT&T Cellular Video and AT&T Music content. The retail price for AT&T Impression is $300. With a new service plan, you are getting it free out of pocket. $300 alone is enough to pay for the data plan for 20 months. Whether a data plan is required for Samsung Impression or not, you should get one. The benefits of anytime anywhere access to Internet is just priceless. Get yours today with free shipping. 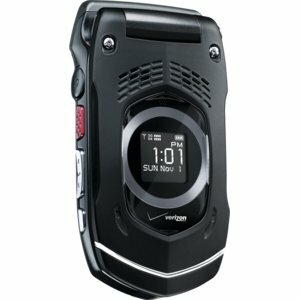 If your working environment require a rugged phone there are some great deals from Verizon Wireless. The new Casio GZone Rock is tough enough for any active life style. Casio Rock is Military spec 810F certified, which means it can resist water, extreme temperatures, dust, and shock. You can get the best deal on Casio Gzone Rock today for only $49 with a new account. Samsung Convoy and Motorola Barrage, the Casio Rock features a media player that lets you stream videos and music from Verizon V Cast. One really cool feature is that you can switch songs by shaking the phone. This new Verizon push-to-talk phone rocks!